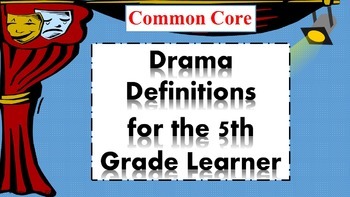 These definitions are based on ELA Common Core vocabulary for theater terminology. Included are 7 definitions-Dramatic Lit, Drama. Scene. Act, Stage Directions, Cast and Dialogue.